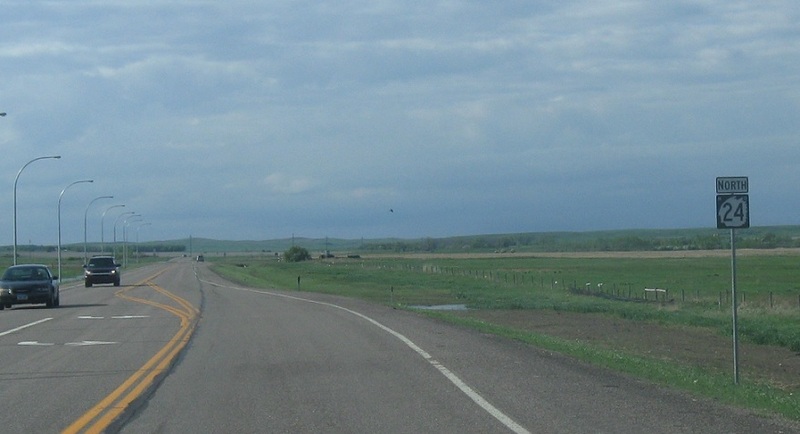 Reassurance shield as ND-24 begins. 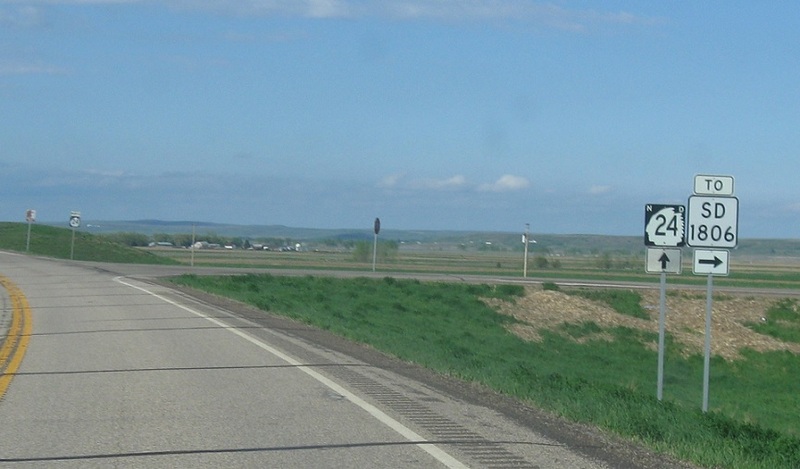 A few miles later, we’ll approach a county road that follows the ND/SD 1806 corridor, but is neither of those highways. 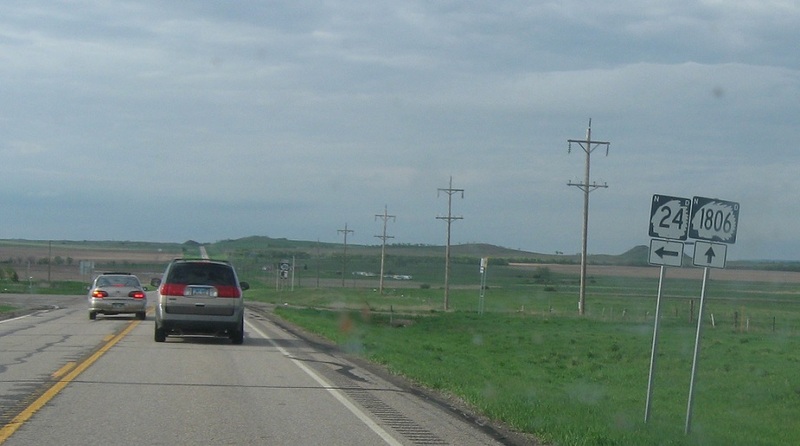 It connects south to SD 1806. 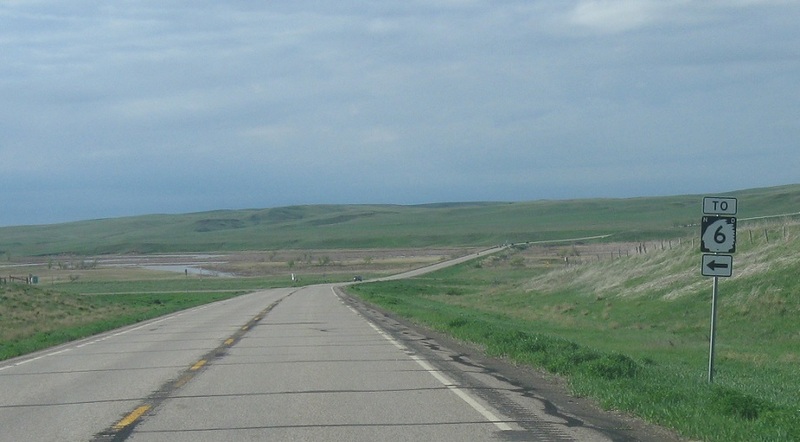 Turn right to head down to South Dakota Highway 1806. 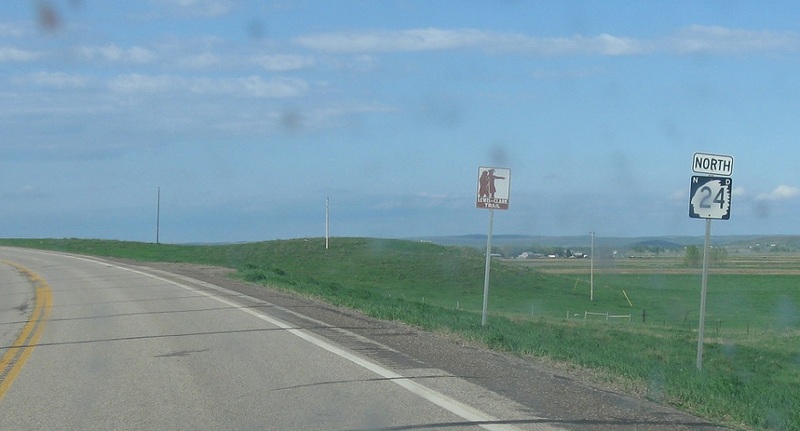 This is not a shield type that has ever existed in South Dakota. 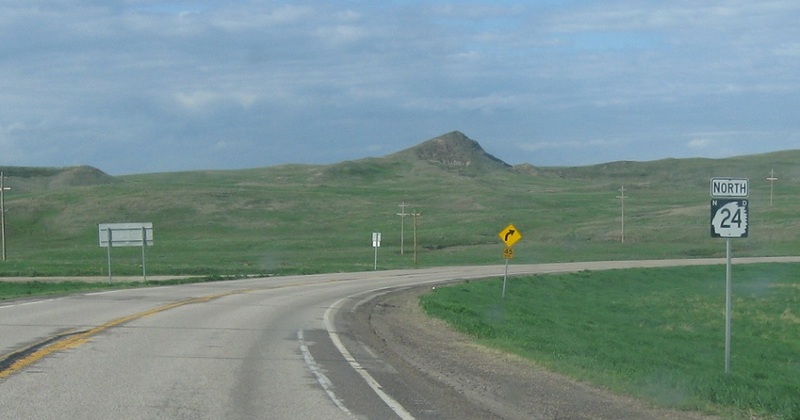 Reassurance shield after the turnoff to Fort Yates. 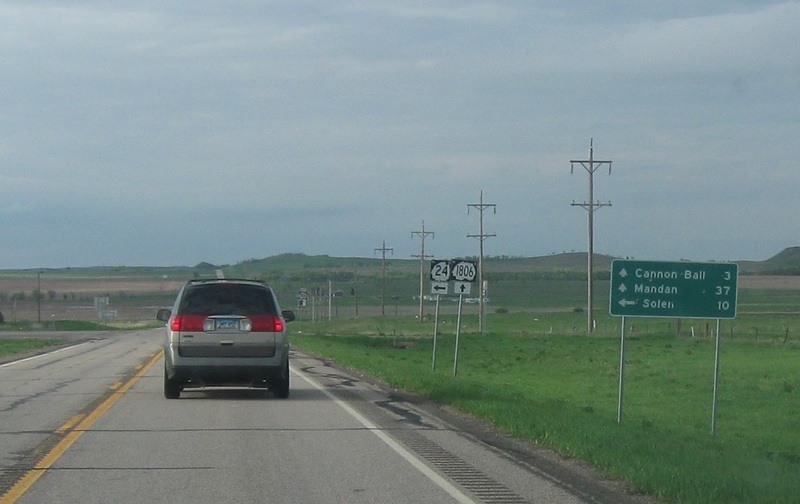 Turn left for CR 6, which does connect to ND-6, but I’m not sure why that’s signed here, since 24 does the same thing here soon. 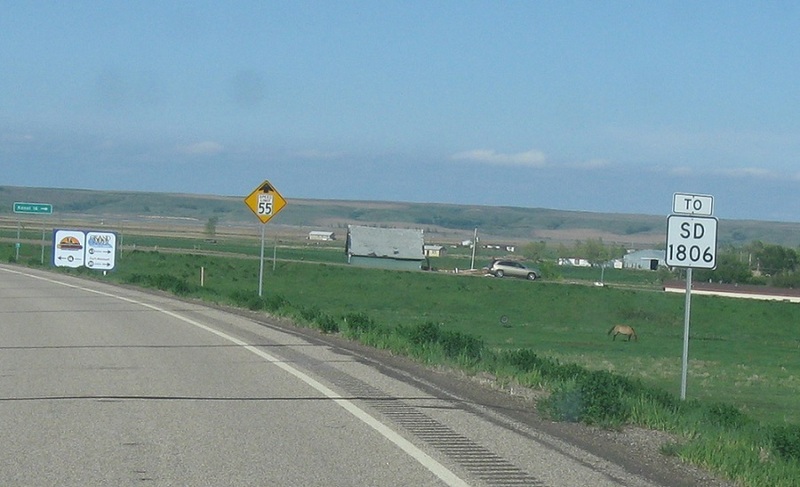 A few miles later, we’ll approach Highway 1806. 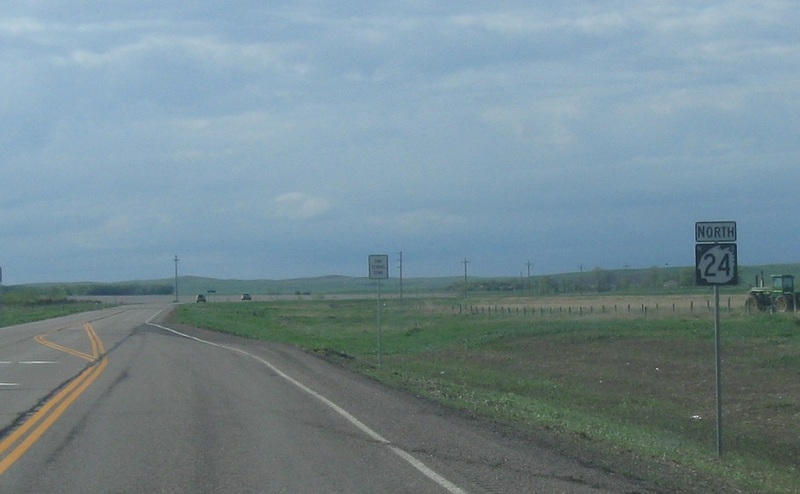 At the 1806 junction, turn left for 24, which heads west over to ND-6. 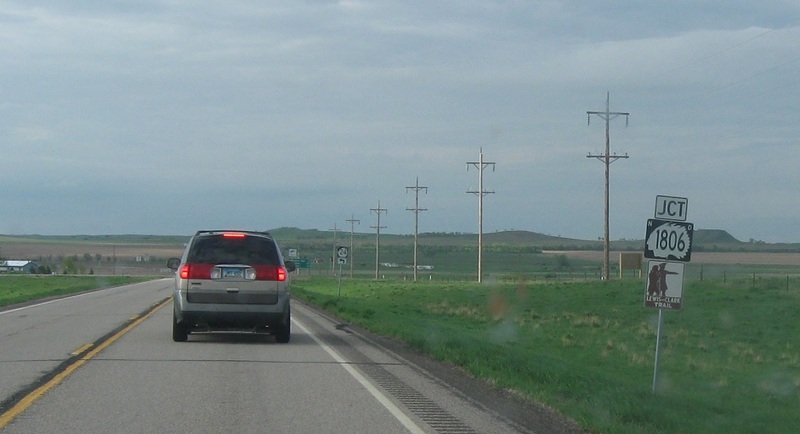 Follow 1806 north to Cannon Ball and Mandan. Take 24 to Solen. Turn left for 24 north. 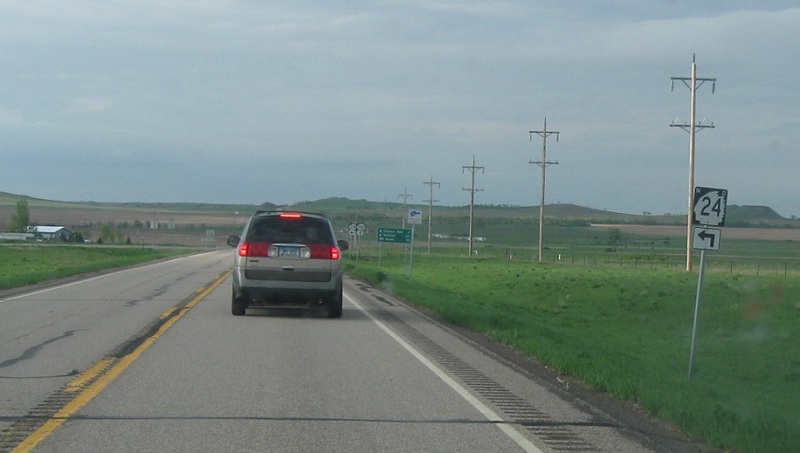 Stay straight for 1806 north.